The days are flying by, and This Heart of Mine will be released on February 27th. That’s less than a month away! This book was probably the hardest book for me to write. A lot of it came from my life. You see, this is a story about a seventeen-year-old girl who needs a heart transplant. It’s about facing death, learning to accept life again, and learning to live with someone else’s heart. My husband recently went through a transplant and his pain, my pain, his fear, my fear, and the learning to live again all came from personal experience. Even the paranormal thread of feeling you have a little of the donor inside you all came from this real life experience. Leah has good memories of her first kiss with Matt, but she’ll have even better memories of their second kiss. Tell me about your first kiss. Do you remember your second kiss? 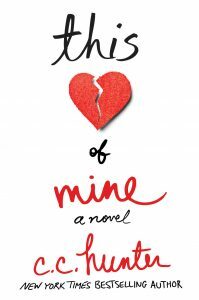 I’m getting more and more excited over the release of This Heart of Mine on Feb. 27th. I can’t wait to share this book with you. So read on, because I have a new excerpt from This Heart of Mine for you. The winner from last week’s giveaway is Megan S. Congratulations! You’ve won an ARC of This Heart of Mine. Please email your postal address to me at cc@cchunterbooks.com. Last week’s winner of a $10 Amazon gift card is Kira Moericke. Please email me at cc@cchunterbooks.com to claim your gift card. 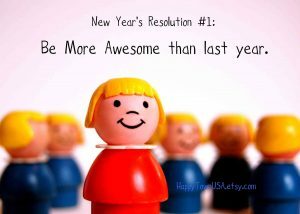 Year in Review & 2018’s First Giveaway! 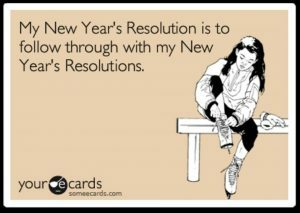 Do you know how after New Year’s you look back on the past year and you kind of feel you wasted too much time? I was doing that, and then I stopped, took an account of my accomplishments, and realized maybe I didn’t do everything I wanted to. 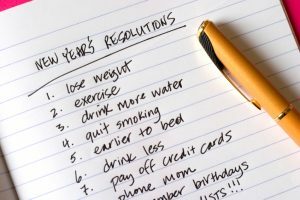 Yeah, I still haven’t lost the weight—but I did accomplish a lot. I visited both my parents, one in California, one in Alabama. I did fifteen writing related events, most of the out of state. Which means I had the pleasure of meeting many of you at conferences and book signings, and I’m looking forward to meeting more of you in 2018. Last August, I released Fighting Back. In case you avid Kylie and Lucas fans missed it, this is the final short story about this couple. Just because they’re in love, doesn’t mean it’s smooth sailing. Oh no, Kylie and Lucas face their biggest challenge yet when Lucas struggles to balance his added responsibilities with the werewolf council with his commitment to Kylie. Things go from bad to worse when Lucas’ life is in danger. But while their future may be uncertain, Kylie will do whatever it takes to save the life of the only boy she’s ever truly loved. 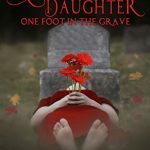 Then last October, I released the first in a three book series called The Mortician’s Daughter: One Foot in the Grave. It’s about Riley Smith, whose dad is a mortician, and his clients keep following him home. Only Riley can see these ghosts, and they usually want some kind of help from her. And it’s never easy. For those of you who are waiting for the second book, look for Two Feet Under in July. Finally in December, I released Fierce, werewolf Fredericka Lakota’s story, previously only available in my anthology, Almost Midnight. 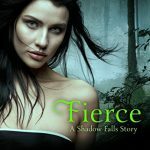 Even years after being abandoned by her rogue werewolf father, Fredericka’s still never found a place for herself in Shadow Falls. And now, Fredericka’s life has gotten more complicated: she’s learned her father has died, the death angels from the falls are calling to her, an ex won’t let her go, and she may be seeing the ghost of a missing woman who needs her help. I also wrote two Christie Craig books. One that was released in 2017 and another that will be out this August. Oh, I also wrote This Heart of Mine. 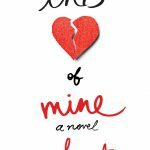 Reviews for This Heart of Mine are rolling in and I’m honored that reviewers are connecting with this book. This is the book about a heart transplant that was inspired from my husband’s transplant. It releases February 27th. You can find all of these books at Amazon and Barnes & Noble. Don’t miss out on any of these enthralling books! And you can also preorder This Heart of Mine. So you see, while I do believe I spent a little too much of 2017 playing Spider Solitaire, I did do a lot. What were you busy doing in 2017? One person who leaves a comment and tells me they have read one of my books, will receive a $10 Amazon gift card.